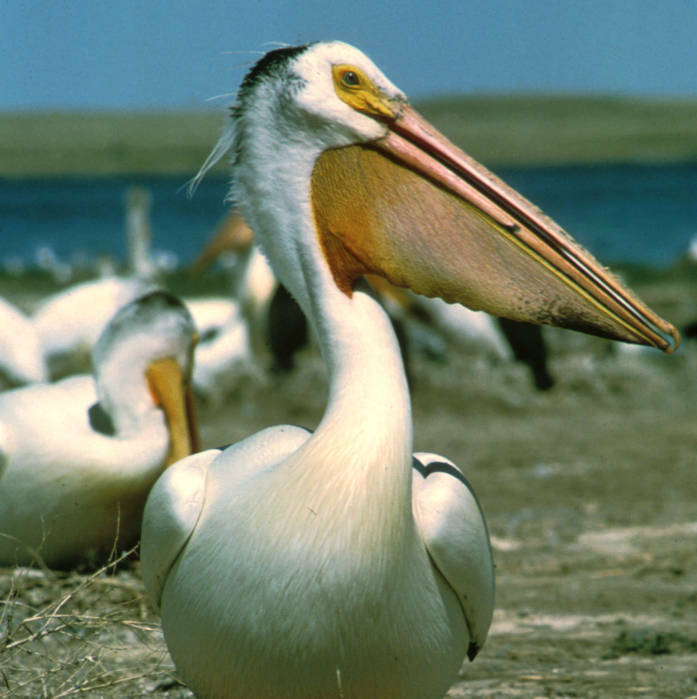 Pelicans are divided into two groups based on plumage color and nesting habits. The Australian, Dalmatian, Great White, and American White species make up one group that is basically all white and nest on the ground. The other group consists of the Pink-backed, Spot Billed, and Brown pelicans. These species are predominately brown or gray and nest in trees. The American White pelican is one of the largest waterbirds. This bird is entirely white except for black primaries and outer secondaries. Its bill, gular pouch, and bare facial skin are orange-yellow, and its legs and feet are yellow. 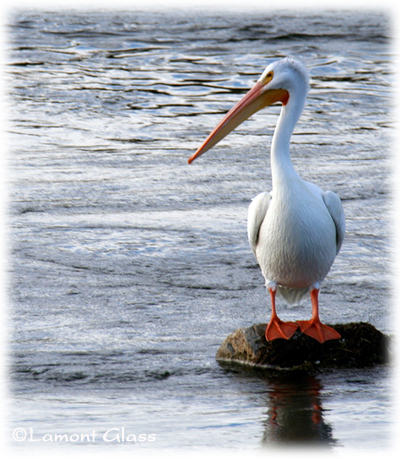 It is one of the only pelican species to be seen away from seacoasts in most of North America. One special feature of this species is that it has a wingspan of 96-110 inches. To find out more about where this bird is found, check out the habitat and geography page.